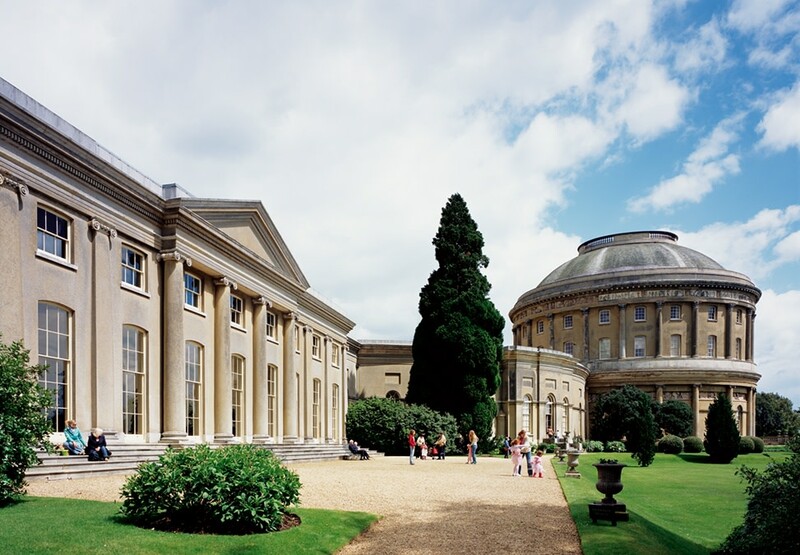 The house, with its park and gardens is a National Trust property, near Bury St Edmunds in Suffolk, built by the eccentric 4th Earl of Bristol in 1795, to house his European treasures. 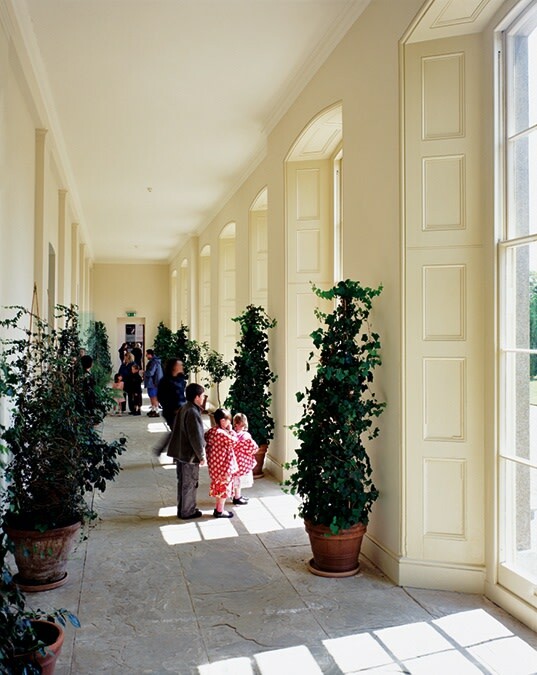 The Italianate House has a central Rotunda, flanked by symmetrical embracing links to the East and the West Wing. The East Wing was used as the family house but the West Wing was left incomplete. Accommodation has been formed, within the vast barn like structure of the West Wing, for the increasing number of visitors to Ickworth. The previous reception, cafeteria, and shop have been removed from the central Rotunda, allowing it to be restored. Two new floors have been inserted into the West Wing. 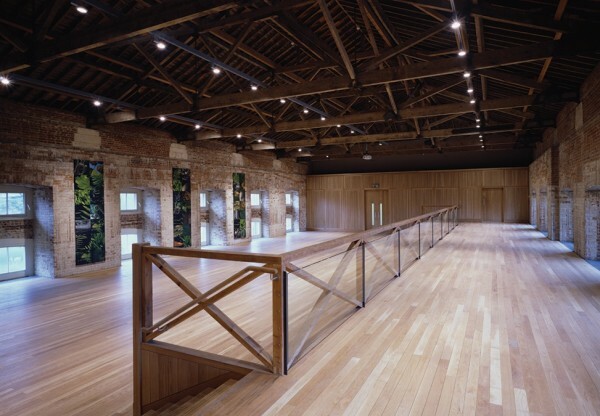 Entrance is through an existing door at the main ground floor level into the new Reception and Information area, and on to the Shop and the Restaurant, which has views, through the Orangery, into the walled garden. 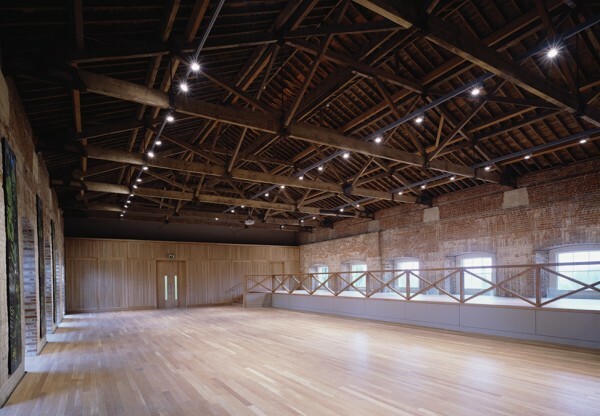 Above is a spacious hall, for events and performances. 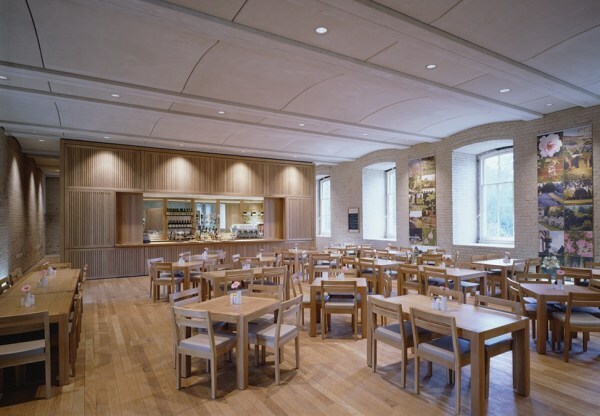 There is a lower ground floor, accessible from the garden, which houses the education suite, and the main kitchen, stores and staff areas. 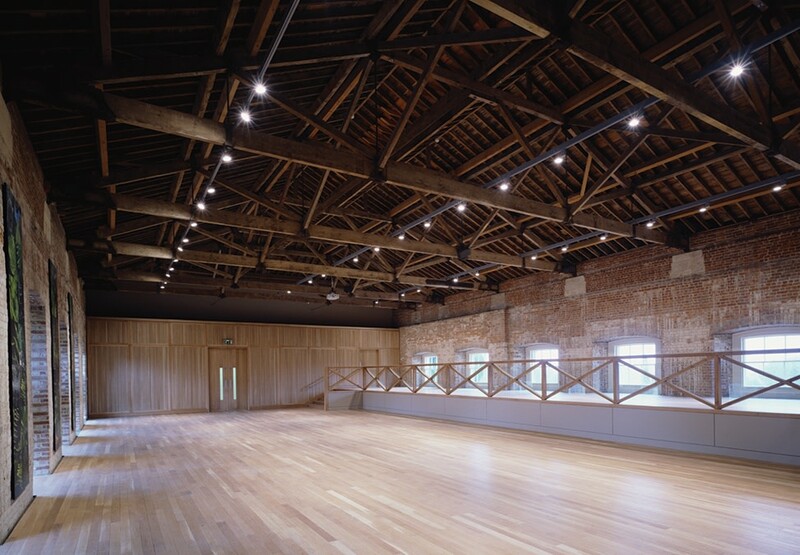 Throughout, where appropriate, the existing state of the brick enclosing walls and the timber roof trusses have been retained, unadorned. 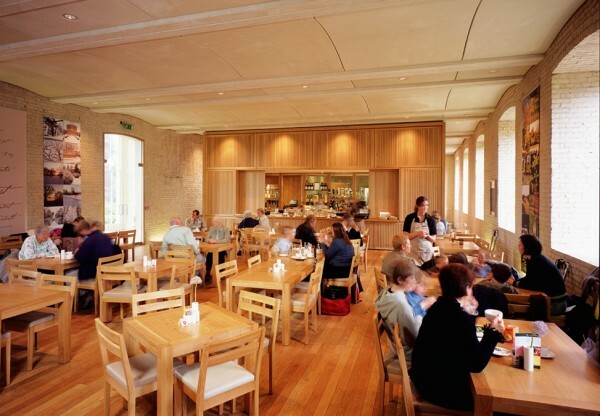 All new elements like the barrel vaulted pre-cast concrete floor panels, which form the ceiling to the restaurant, and the timber screens, are clearly contemporary insertions.